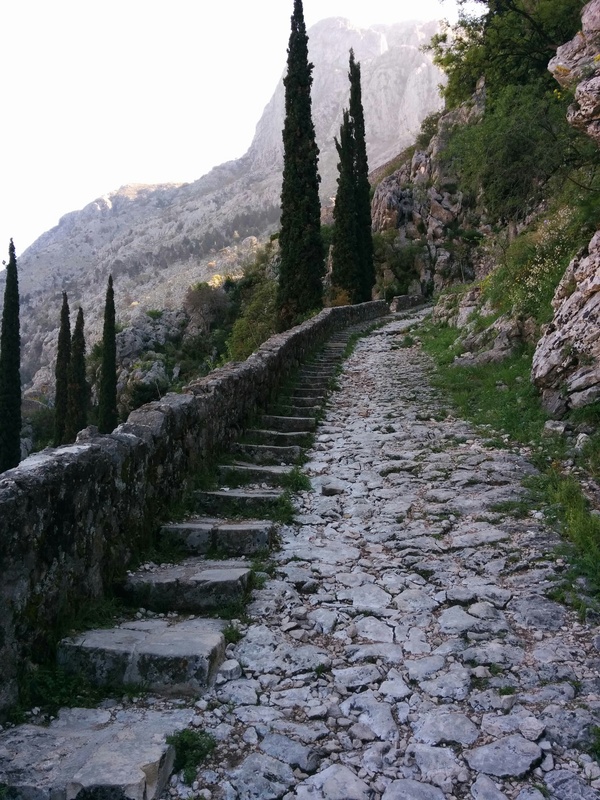 Kotor, only 1300 steps up to the fortress…. 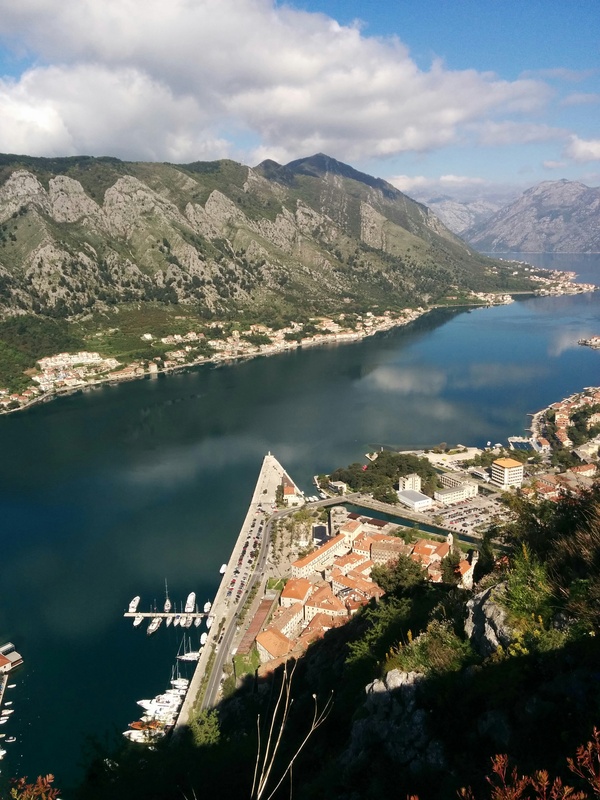 Wow, wow, wow…I thought some of the other places we have been were good till we got here to Kotor, Montenegro. 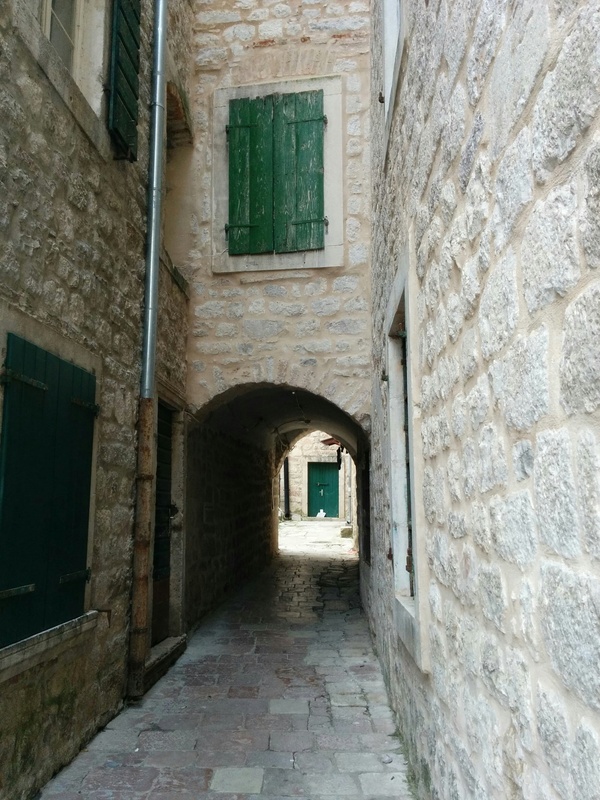 A beautiful old town with a rabbit warren of narrow cobblestone streets. The old town is surrounded by a city wall with several gates. 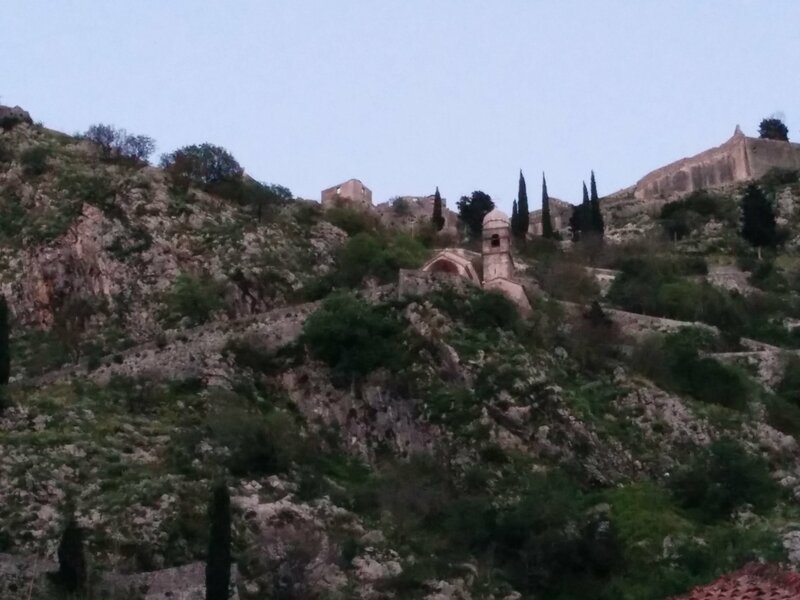 High on the hill behind the old town is a fortress. With 1300 steps leading up to it. 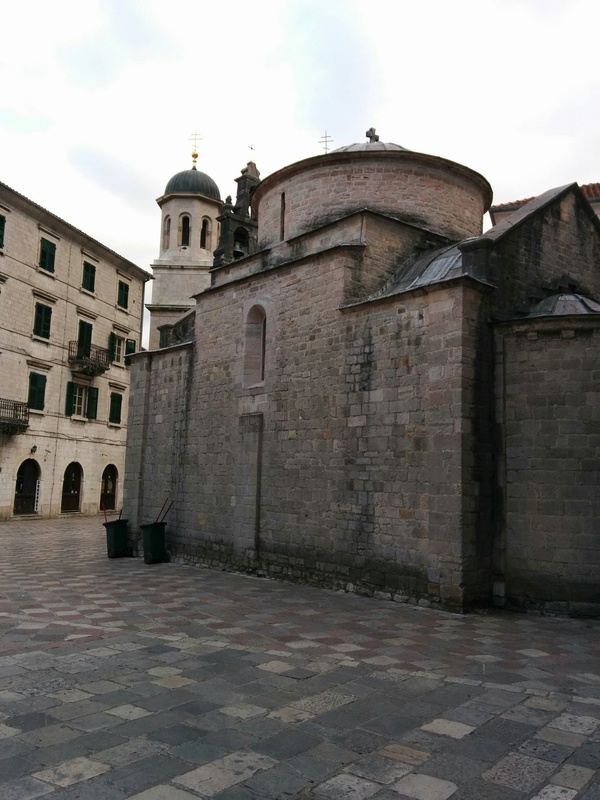 It was built in 1470, obviously to protect the natural harbour 280 vertical meters below. 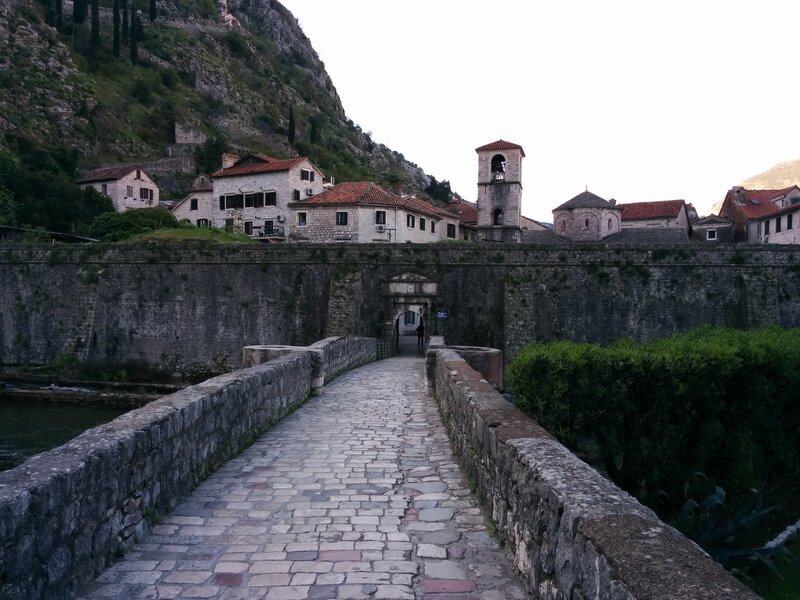 This entry was posted in travel and tagged Kotor, Montenegro on April 12, 2016 by gillianknitter. WOW ! Amazing views. Fascinating that these buildings/fortresses have withstood centuries of wars and weather and are still standing…I wonder if any of our modern structures will survive that long. Thanks for the tours. Very cool and no other tourists?! I just realized what you meant.. I took the pictures at 8 am and also waited till no one was in the frame. I tend to do that. I guess it may seem stark.